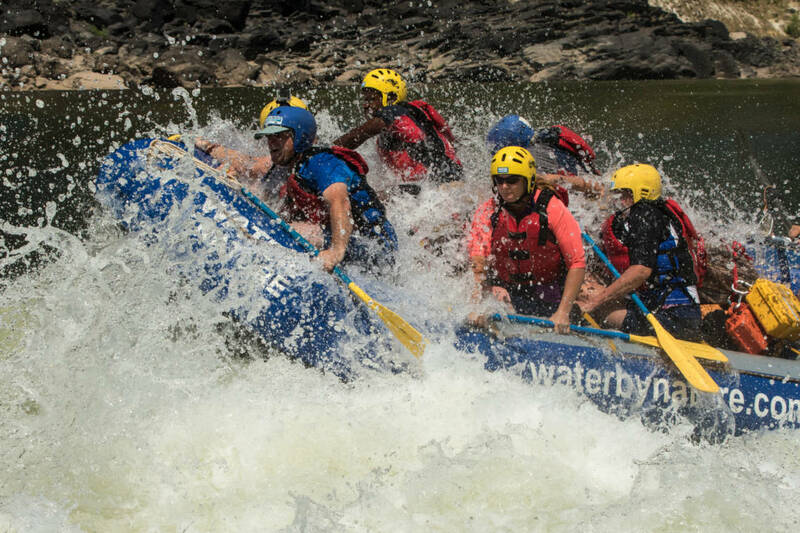 White water rafting on the Zambezi River. 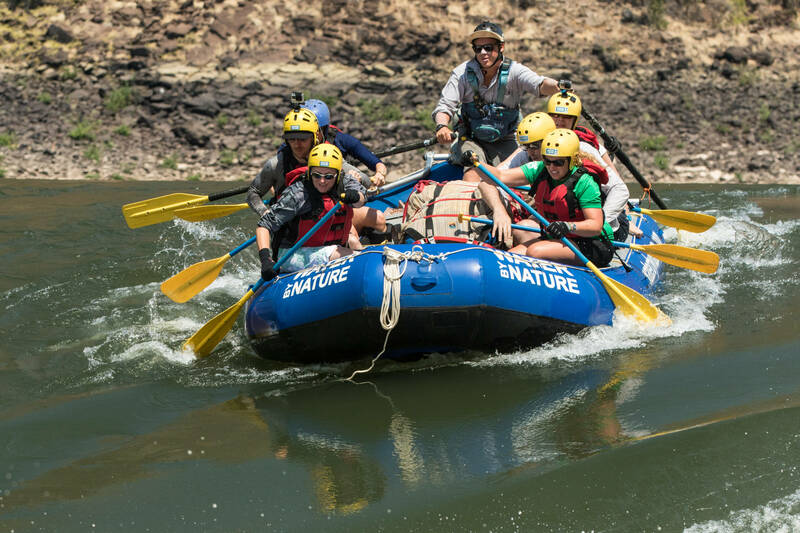 This is an absolute gem of a trip – featuring big white water, spectacular African scenery and warm sunny weather! 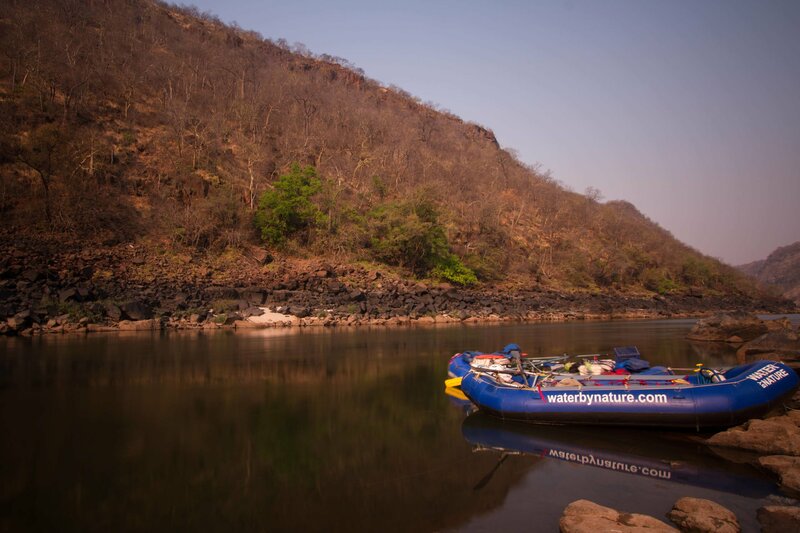 One of the many highlights is bobbing around at the base of the magnificent Victoria Falls – definitely one of the more dramatic places on this planet to begin a 7 day river adventure. 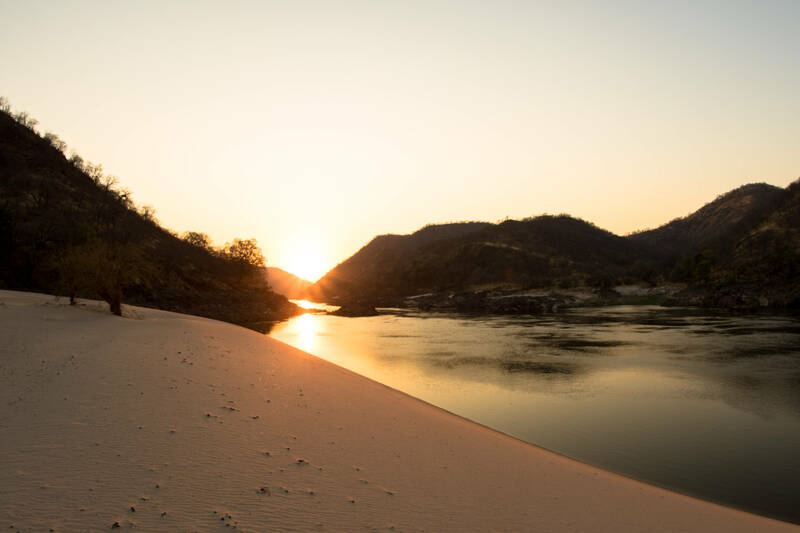 Your following days are spent challenging some of the most awesome rapids with names like ‘Oblivion’ and ‘Stairway to Heaven’ while your nights involve camping on expansive beaches of white sand, gin and tonic in hand listening to the noises of wild Africa. 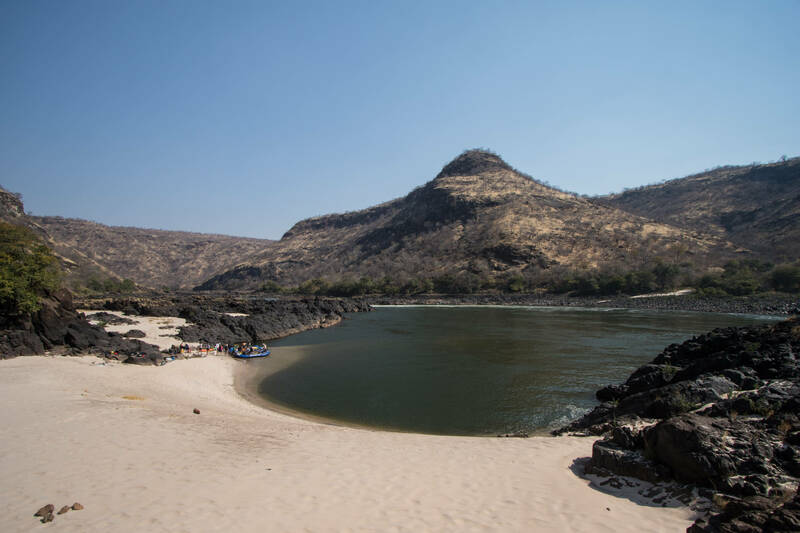 And after completing one of the most exhilarating adventures in the world, you can head off to sample the wildlife viewing that this region is famous for. 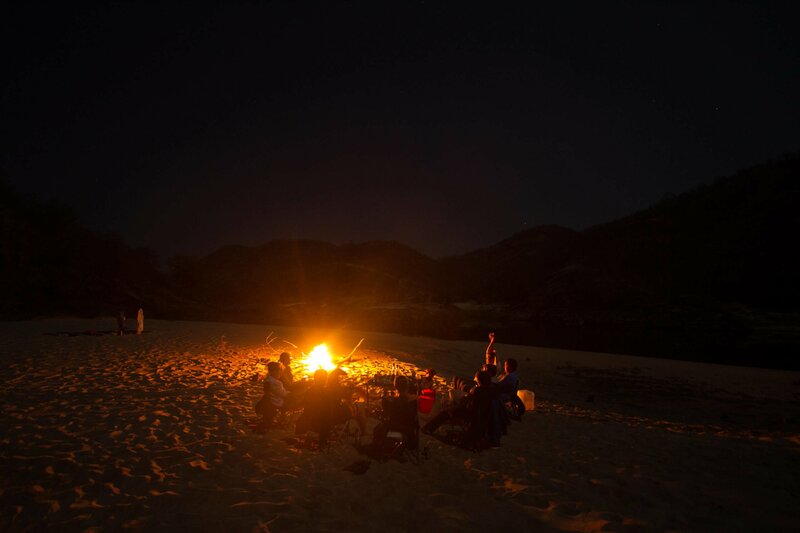 A brilliant way to really top off your trip to Africa. Other trips available in this destination are our multi activity Zambezi Ultimate Adventure, the Zambezi Blast with safari to Botswana or our African Odyssey vacation. 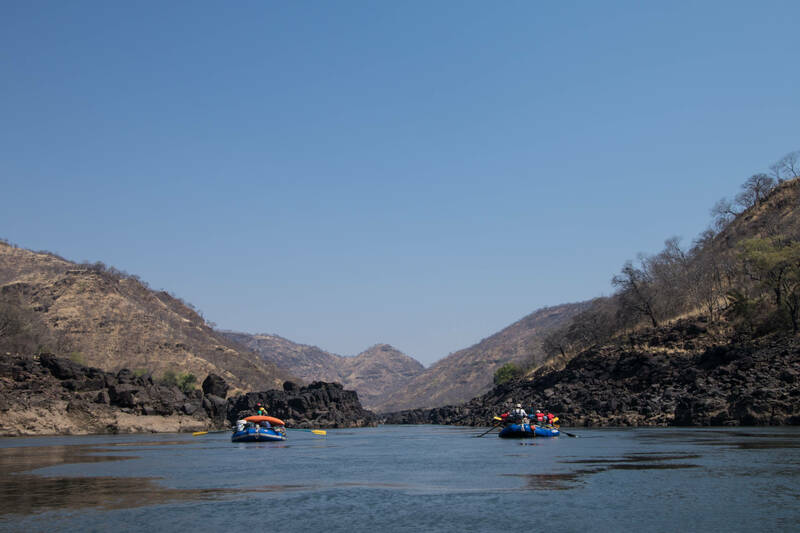 Arrive into Livingstone, sample the beauty of the Victoria Falls and then a chance of doing a sunset cruise on the gorgeous Upper Zambezi, before returning to our hotel. 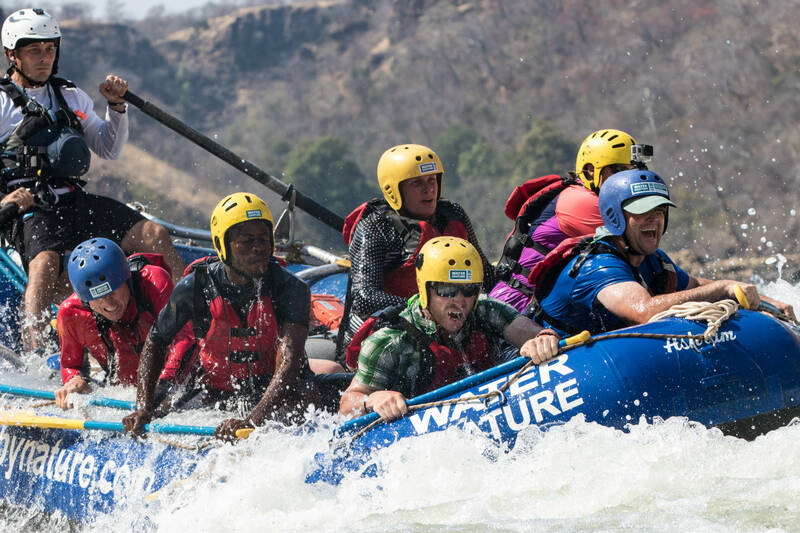 We start the trip beneath one of the Seven Natural Wonders Of The World, Victoria Falls with lunch on our first day and take on some of the best rapids on the planet. Stairway to Heaven, Devils Toilet Bowl and Star Trek… are just a few before arriving at camp for snacks and cold drinks! 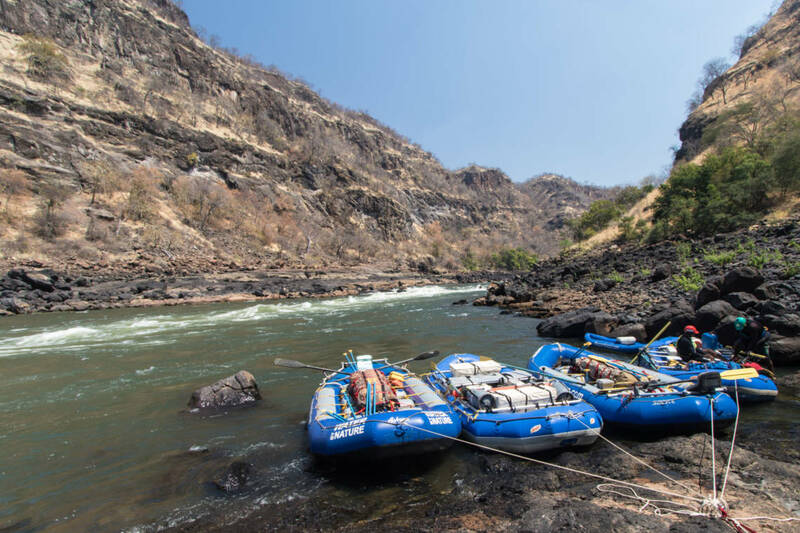 We portage the rafts around Lower Moemba and the Chabango Falls, then load up again and run the amazing rapid, Ghostrider! Yay! Its layover day! On a stunning remote sandy beach a chance to relax, swim or try your hand at kayaking! A great mellow day to relax on more gentle water, take in a few waves and lie back and enjoy the scenery and wildlife. 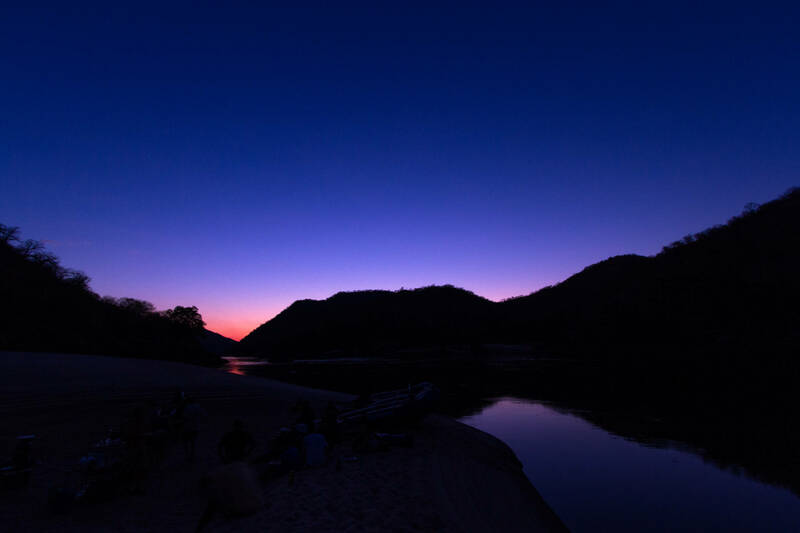 A gorgeous overnight camp gives rise to the gorge opening out and us rafting amongst hippos and crocs! 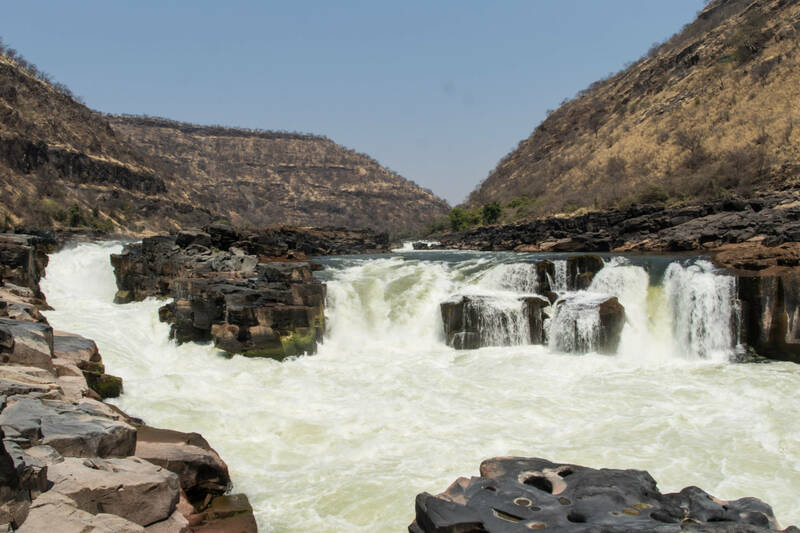 We pack up the gear and take a spectacular 40 minute helicopter flight through part of the gorge and over the spectacular Victoria Falls arriving back to our lodge on the banks of the Zambezi. You have done one of the best river trips in the world. A chance for some last minute shopping before your flight home. 2 rash vests (not cotton) or long sleeved tops to wear under your personal flotation device. You do not need to bring tents and sleeping mats. 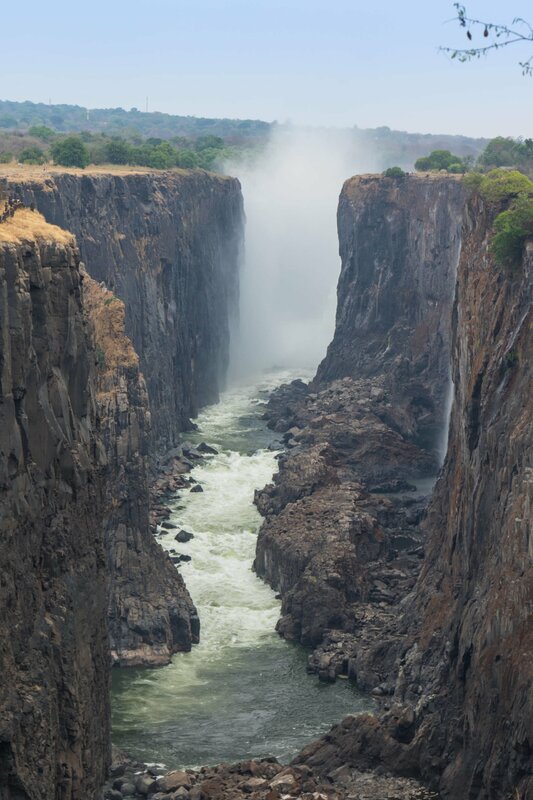 A single entry visa can be obtained on arrival into Livingstone for $50. 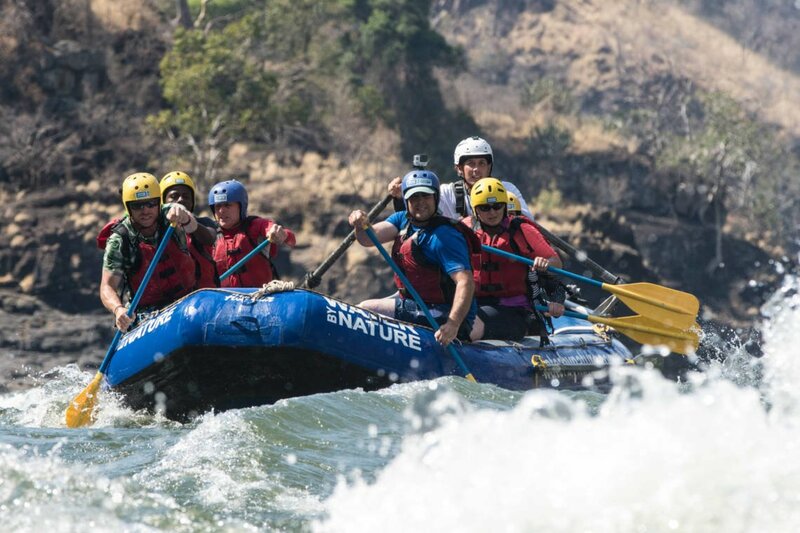 Water By Nature is the ONLY company you want to travel with as you navigate the Mighty Zambezi. My recent trip in August ‘18 was outstanding on a number of levels. First and foremost is safety and our professional guides. They are knowledgeable and know the river well. 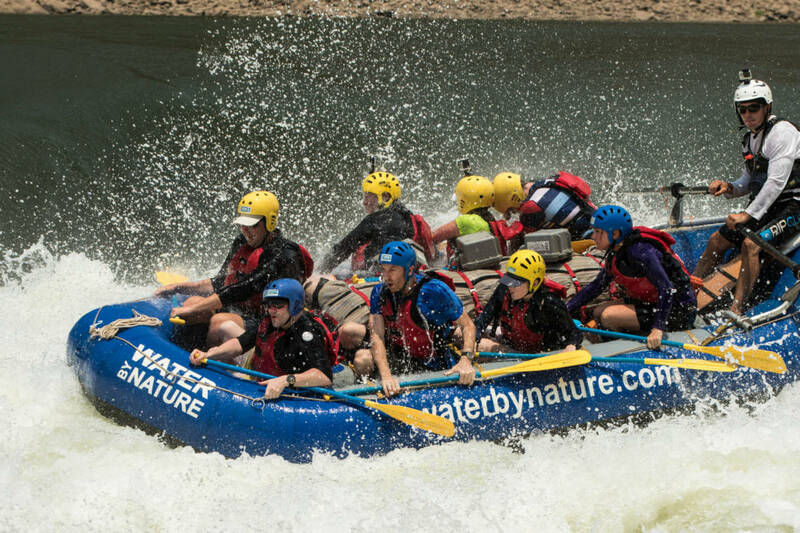 They provide the adrenaline rush of the rapids while ensuring our well being. Our campsites were pristine white beaches with all necessary amenities… camp toilet and a mini portable “shower”- the ability to rinse off at the end of the day is a bonus. 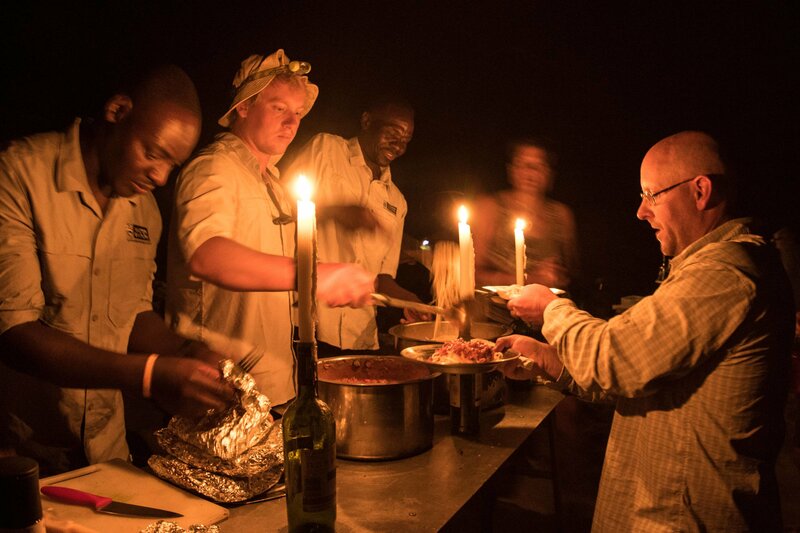 Each evening, after our guides prepared and served dinner, they would entertain us with songs and stories and we’d sit around a campfire, listening to the river, and watching the night sky. Finally, at the end of the week, we were helicoptered out to a lovely lodge overlooking the river. Water By Nature has it all and I’ve booked trips for ‘19 and ‘20. 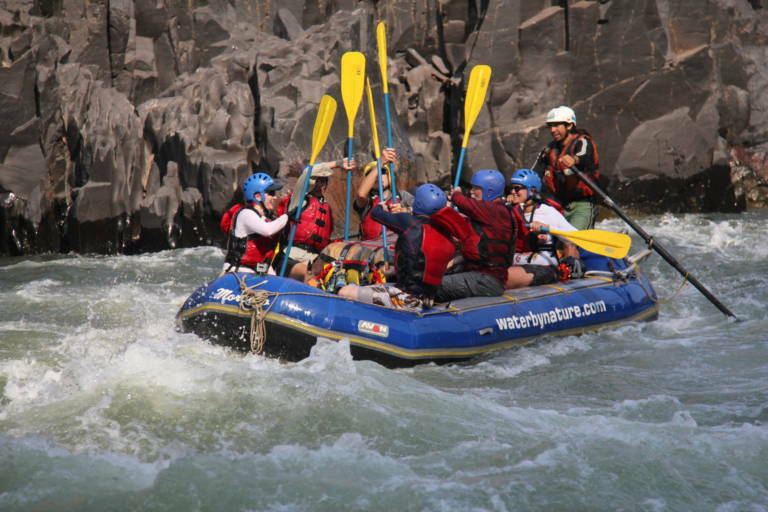 Most of us will only do the Zambezi once, and doing it with the right company and guides is key. If you’re looking for a good time, Hamish and his boys are the way to go! 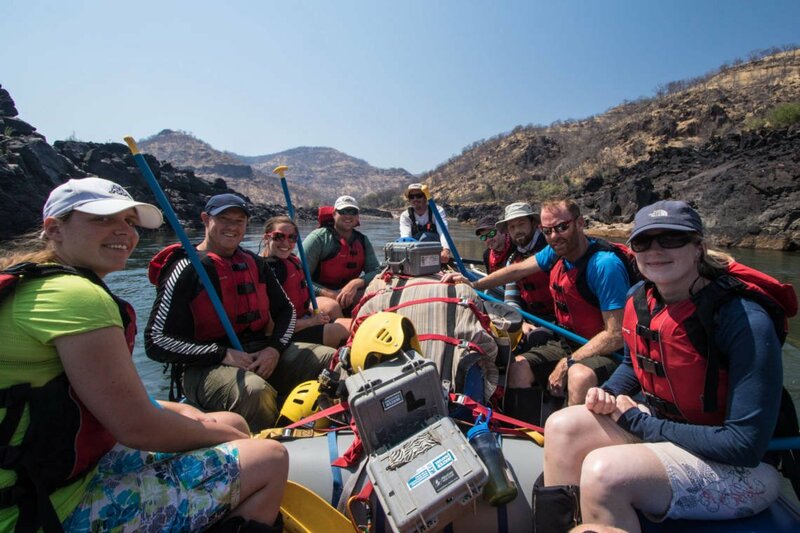 I had the most amazing time with Hamish and his crew on the Zambezi River for 7 days. 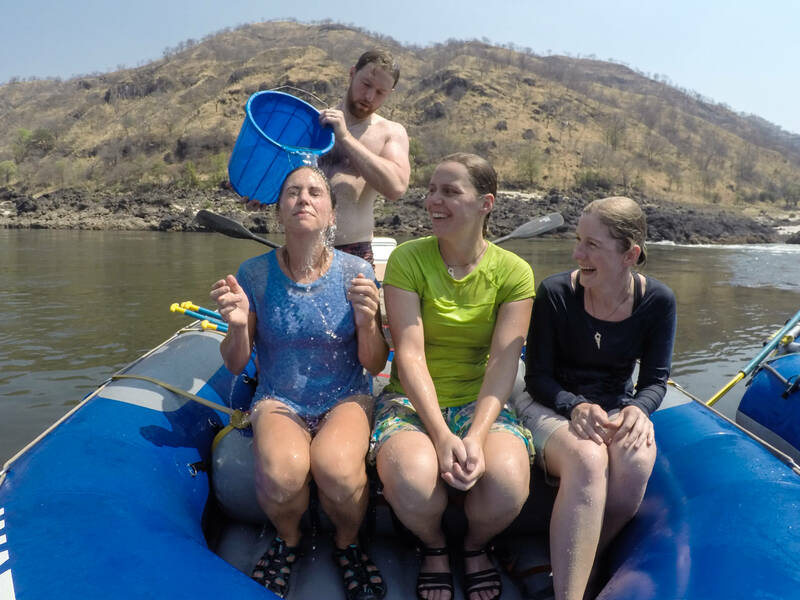 The entire team was focused on safety first and foremost, both on and off the water, which was reassuring being a solo female traveler in the middle of nowhere, Africa. The rapids were incredible. Sadly, they will be disappearing in the future when the dam gets built downriver. We did have to do several Portages due to high waters, but the team made it fun and made sure to assist us where needed (as well as keep the jokes flowing and everyone laughing). Everyone was beyond friendly, and the smiles, laughs and jokes were contagious. And the food, can’t forget about the food…props to them for making such great dishes on the middle of nowhere. Especially to Lovemore who was able to bake over a campfire! I have already put a deposit down to travel with them again next year for 2 weeks in Nepal! 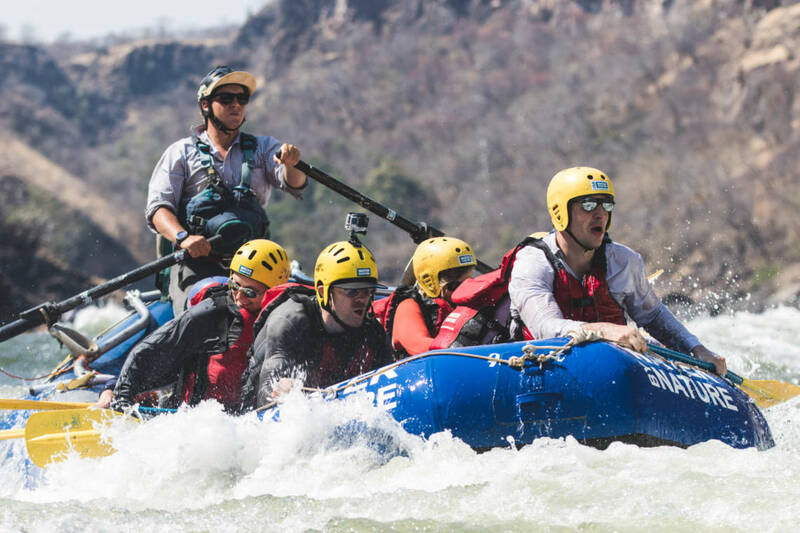 If you’re looking for a great time on a remote river with safe and fun guides, this is the team to go with! 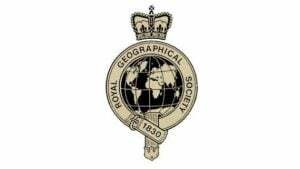 A huge thank you to Hamish, Isaac, Lovemore, Zalawi, Darwin, and especially my guide, Julio! 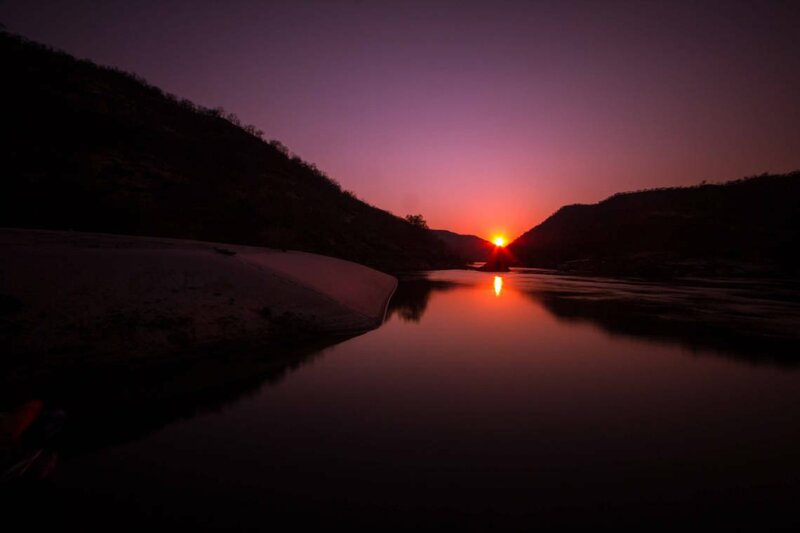 The Mightly Zambezi: Not to be missed! 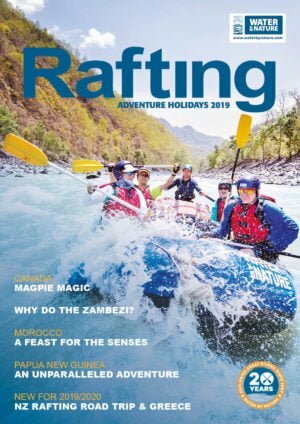 In November 2017 I was fortunate enough to join “Water By Nature’s” seven-day low-water raft trip down the mighty Zambezi. I’ve done plenty of big water before, but nothing compares to this! 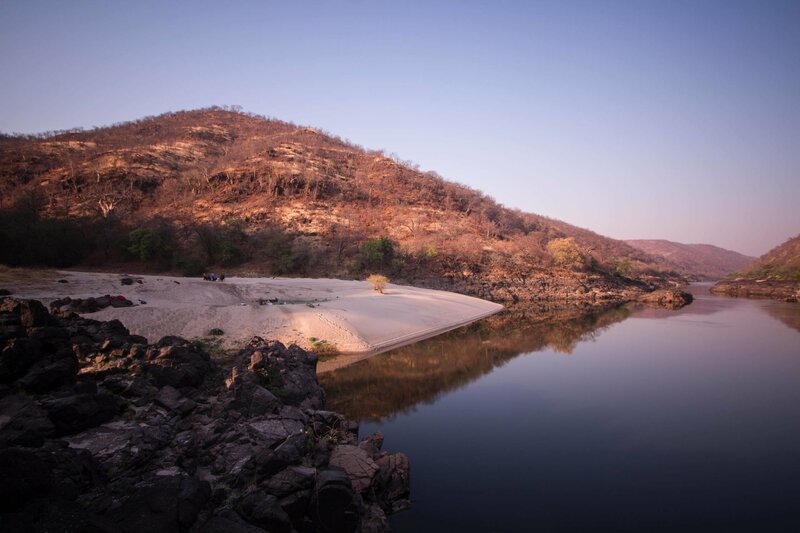 The volume of the Zambezi, even during the dry season, is extraordinary. Isaac did an amazing job of organizing our trip and his engaging team kept us safe, entertained, well fed, and thoroughly happy. I’d recommend them, the company, and this trip without reservation!